When you’re checking Instagram no less than 50 times an hour to monitor the likes on your latest overhead brunch pic, it's no big mystery why your iPhone battery is draining at an alarming rate. But if you’re a normal person, using a lot of different apps a normal-person amount, it’s pretty damn frustrating when you lose your charge and can’t figure out why. 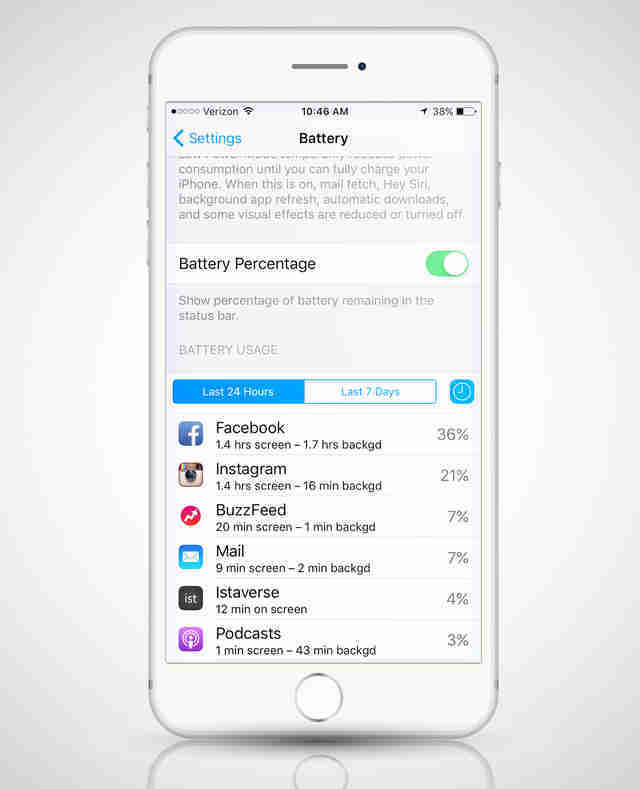 Is it your careless charging habits? Or maybe it's because some of your apps are taking more than their fair share of power. Thankfully Apple makes it easy to spot the culprits. 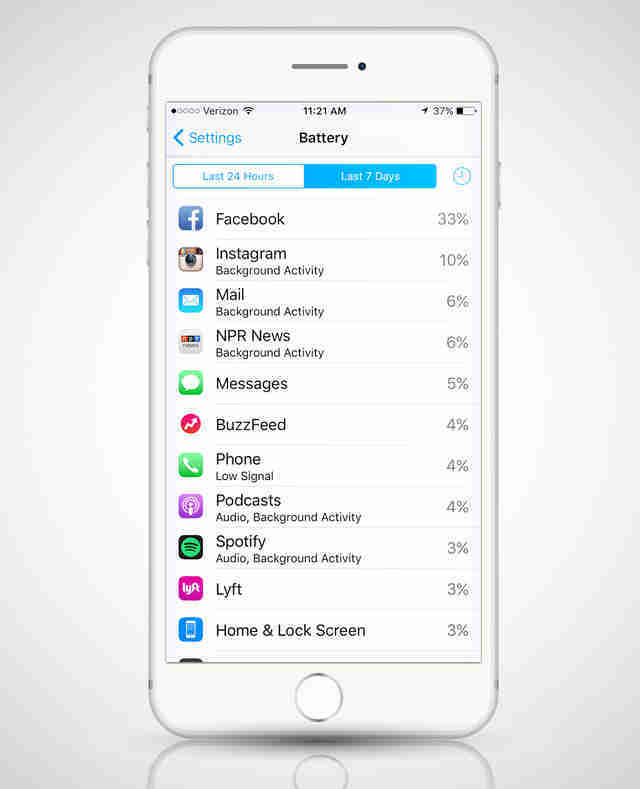 Here’s how to find out which apps are using the most battery, so you can avoid the repeat offenders when your device is dangerously depleted. Go into Settings > Battery and scroll down to Battery Usage. Here, you'll find all the apps running on your device, in descending order of how much battery they're leeching. You'll see usage from the past 24 hours, but you can also can toggle to "Last 7 Days" to see the entire last week. For an even more granular look, tap the clock icon on the right. It shows exactly how many hours you've been actively Tindering or Blitzing Bejewls. Depressing, right? You'll also see how much battery use can be attributed to the app refreshing in the "background" (which is, by the way, a notoriously power-hungry feature you can disable under General settings > Background App Refresh). If you're regularly on the Facebook app, you'll notice it's near the top of the list. That's because it's loaded with so many bells and whistles, Facebook even publicly addressed the problem and issued a fix that cuts down on how much it kills your battery. Other common offenders? 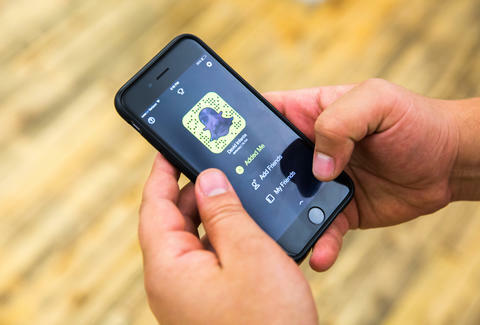 Snapchat, Google Maps, and Instagram -- any apps that access your phone's most taxing features, like the camera and GPS -- as well as streaming content players like YouTube and Spotify. Of course, if you can't be bothered to save battery until you're down to a panic-inducing 10%, Apple's got you covered with the newly introduced Low Power Mode (Settings > Battery > Low Power Mode), which temporarily disables a whole slew of energy-demanding features like mail fetch, automatic downloads, and even some visual effects until you can plug in again. Joe McGauley is a senior writer for Thrillist and not proud of how long his phone says he spent Facebooking last week.